Although we tend to think of cancer as a mysterious genetic puzzle, truth is, cancer is a “lifestyle” disease we give to ourselves. Poor lifestyle choices weaken our defenses against diseases like cancer. The food we eat, the substances we are exposed to and our level of physical activity impact the body’s production and function of hormones, inflammatory substances and immune factors that have the power to promote or prevent cancer. In normal healthy circumstances, our bodies with their natural defenses find and destroy cancer cells. It is only when these cells grow faster than the body’s ability to destroy them and they grow out of control that deadly tumors are formed. A healthy immune system is required if we expect to deal with a killer like cancer. This silent but deadly disease cannot be allowed to get a foothold in the body…these cells must be killed on a daily basis. 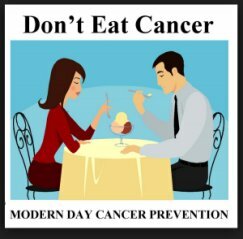 The sure simple cure to prevent cancer is to tip the balance in your body’s favor so it can perform to perfection its job of defending itself against invaders. However, maintaining a strong and efficient immune system in today’s world is turning out to be one of our greatest challenges but it is also our greatest asset protecting us from germs and foreign invaders. So many factors work against a healthy immune system in our busy and exciting modern world; lack of physical activity (we don’t have to catch our meal every day), unhealthy diets, poor lifestyle habits (we are too sedentary and eat too much processed and “quick” foods) stress and exhaustion and even drugs that were designed to protect us from germs and illness. Weight: you need to aim for healthy weight throughout life. Any excess weight taxes your body’s systems to work harder putting stress where it does not belong and deadly fat in dangerous places. Physical Activity: perform a structured strengthening program along with Interval training. Our modern lifestyles are too easy and comfortable and sending us down the wrong track with our health. Combine the nearly total lack of muscular exertion in our mostly inactive lives together with the wrong types of food and too much of them and you have the perfect formula for making us overweight, sick and immobile. Our bodies function best when given the proper amount of physical movement they were designed for. The same thing happens to your body when not used that happens to any automobile that sits stationary without use or any machine for that matter, it gives way to a serious break-down and nasty decay. When our brains receive messages that strength is necessary such as when we use our muscles properly “growth and repair” hormones are released that repair, replace, renew and rejuvenate old worn out cells and tissues. When the brain is not receiving these signals that strength is needed (to renew and rejuvenate) the exact opposite happens and chemicals whisper to the cells to decay, degenerate and die. Our muscles are also the storage sites for the amino acid glutamine and other proteins that are the immune systems fuel source. The more toned and strong muscle tissue you have, the more plentiful the supply is and the greater the protection you have. If you do get sick your body can call on the stored protein in the toned muscle tissue to help fight and recover from illness. These are your built in reserves. Diet: Reduce or eliminate processed foods and replace with unprocessed whole foods. A clean diet focuses on choosing foods that are low in fat, high in fiber and loaded with essential vitamins and minerals while maximizing or avoiding processed foods and refined sweetener all together. This helps to control blood sugar, stabilize energy and provide your body with sufficient amounts of fiber to help keep food moving through your digestive tract…moving cancer-causing compounds out of your body quickly before they can cause harm. It’s obvious that preventing chronic disease such as cancer requires lifestyle changes and the good news is that this is something you can do right now without waiting for a doctor’s visit or prescription refill. Bottom line is, the best way to reduce your risk for many diseases and health issues is to choose natural and minimally processed foods and get your body moving in a regular program of interval training or some sort of balanced physical activity that also includes weight training. There’s no time like now. Take this 1 minute test to find out how you fare on the cancer risk scale…wouldn’t you like to know right now if there is an invisible threat hanging over your head?